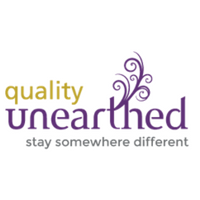 Quality Unearthed hand selects funky places to stay around the UK. We represent glamping accommodation ranging from yurts, shepherd’s huts, safari tents, tree houses and more. With a grass roots understanding of ‘forward to nature’ holiday experiences, Quality Unearthed are the glamping specialists to speak to.